We are each an important piece of the collective human puzzle. It is time we come together with our unique gifts, insights and resources to create a world that works in harmony for all. 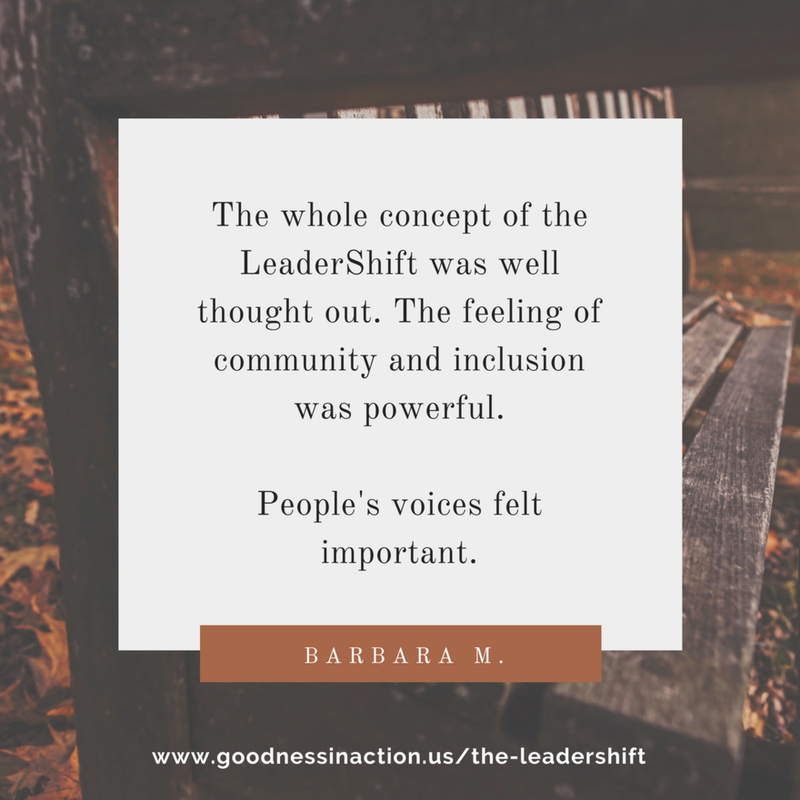 At its core, the LeaderShift Initiative teaches the power of community. 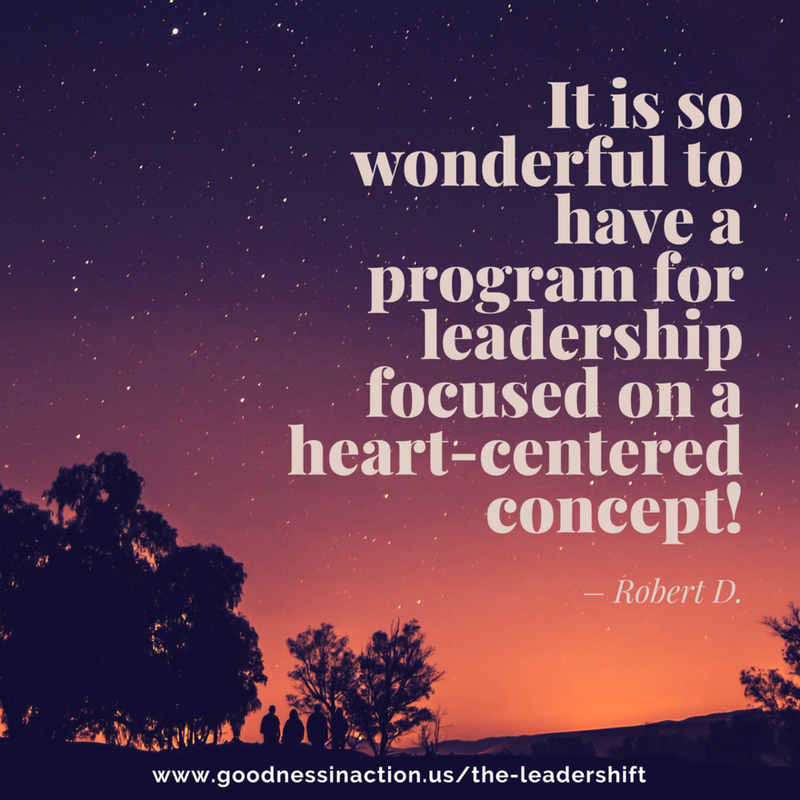 It shifts the focus from the old paradigm of hierarchical leadership (where one person leads with many followers) to a new paradigm of egalitarian leadership (where every person honors their innate leadership skills and is empowered to play a critical role in taking responsibility for the wellbeing of the Whole). 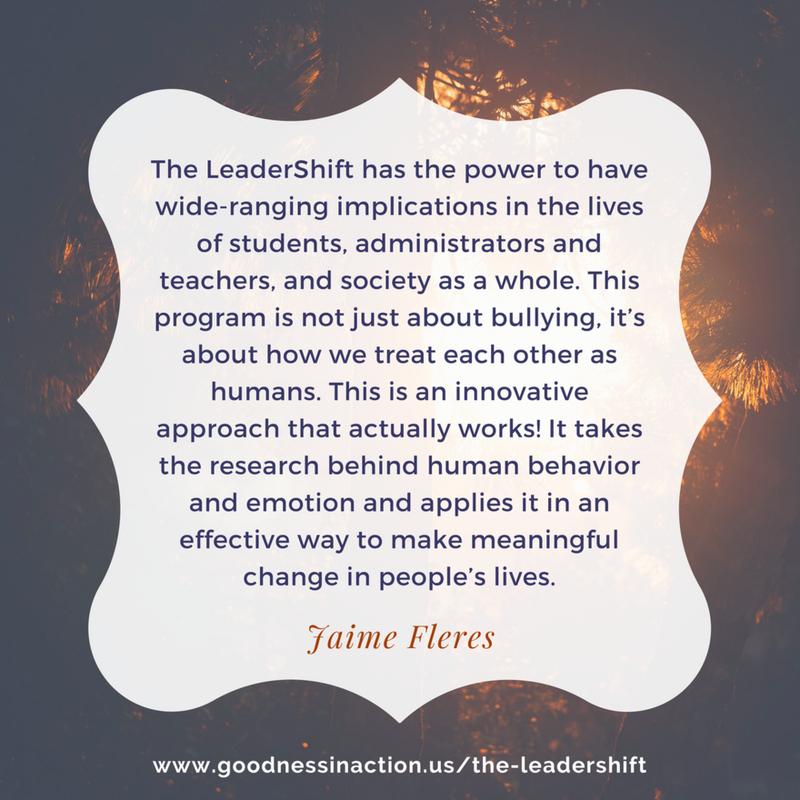 This offering teaches conflict resolution at a communal level, empowering people of all ages to deescalate stressful or aggressive situations, to identify and manage fight-or-flight mode, to overcome the bystander effect, and to stand up for their core values – because nobody wins until we all win. Interested in bringing our half-day workshop to your school, community, or organization?